Willkommen in meiner Bastelarena! : My GDT card for Love to Create! My GDT card for Love to Create! Diesmal habe ich die Ehre und Freude, Gastdesignerin bei Love to Create Challenge zu sein! 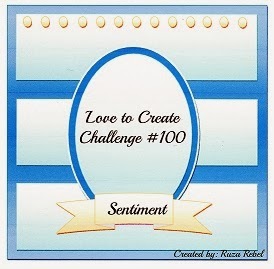 I am so honored and have the pleasure to be a guest designer at Love to Create Challenge! Es hat so viel Spaß gemacht, dieses süße Motiv (E-MeOw Girls Minxy 1) zu kolorieren! It was so much fun to color this cute image (E-MeOw Girls Minxy 1)! Gorgeous card! I absolutely LOVE your coloring, color combination and design. It has been a true pleasure to have you as our Guest Designer this week! Your card is fabulous!! Gorgeous coloring with such a beautiful design!! Thank you so much for joining us as a Guest Designer!! It has been a wonderful pleasure sharing your beautiful talent!! Karte: You BLOW my mind! Time for a new C.R.A.F.T. Challenge! Ein frohes neues Jahr an euch allen!